What Would You Do if There Just Wasn't Enough? This week Food Bank staff and community members are taking the Hunger Challenge to get a sense of what life is like for thousands of people in North Carolina that receive FNS benefits and live on just $4.21 worth of food each day. Every day this week we’ll publish a round-up of posts and photos from participants that have chosen to share their experiences. We hope you find their accounts valuable and follow the action all week here and on Twitter. When living on such a tight budget, we know the low-income families we serve have to make tough choices. The choices they make determine whether they or their family will have a nutritious meal on the table or pay their month’s rent. Some will choose to have a full pantry rather than an essential, potentially lifesaving medication. Many will water down food or drink to make it stretch as far as possible. What would you do when faced with the choice: Buy Food or Pay Your Light Bill? Would you consider skipping your dinner to ensure your children have enough to eat? 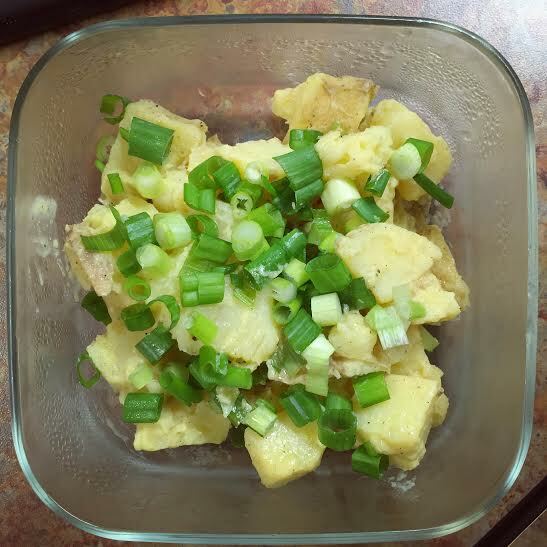 Very small portion of potato salad leftover from dinner last night. The green onions and Dijon mustard make it very flavorful and tasty. The small portion is a bit troubling though. This morning as I portioned out our lunches I found myself offering my half to Jon so that he would have more to eat. He declined the offer, but it made me consider how this limited food budget would be even more difficult and stressful if we had more mouths to feed, especially if there were small kids involved. Molly’s small portion of potato salad she ate for lunch today. When I left the office I was so hungry I could hear my stomach growling over the sound of my car radio. The problem was I couldn’t go home right away because I had soccer practice. Tonight at practice I felt grumpy and had very low energy… When I finally got home I was so hungry that I lost all the self-restraint I had. Without thinking, I opened 2 packages of Ramen noodles AND the can of corn! 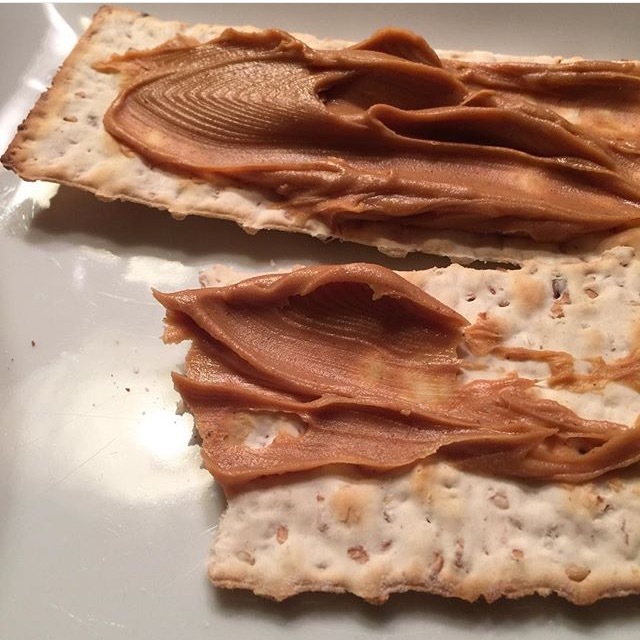 Crackers and peanut butter are two of the only items Greg has left to eat for the rest of the week. Over 20 Food Bank staff and community members are taking the Hunger Challenge this week to get a sense of what life is like for thousands of people in North Carolina that receive FNS benefits and live on just $4.21 worth of food each day. To learn more or to take the Challenge yourself, please visit our website at www.foodbankcenc.org/HungerChallenge. Also be sure to follow the meals and experiences of Challenge participants on Twitter using #HungerChallenge.